Cabins at Drake Bay, Osa Peninsula. Nature, Wildlife and eco tourism at Pirate Cove Hotel. 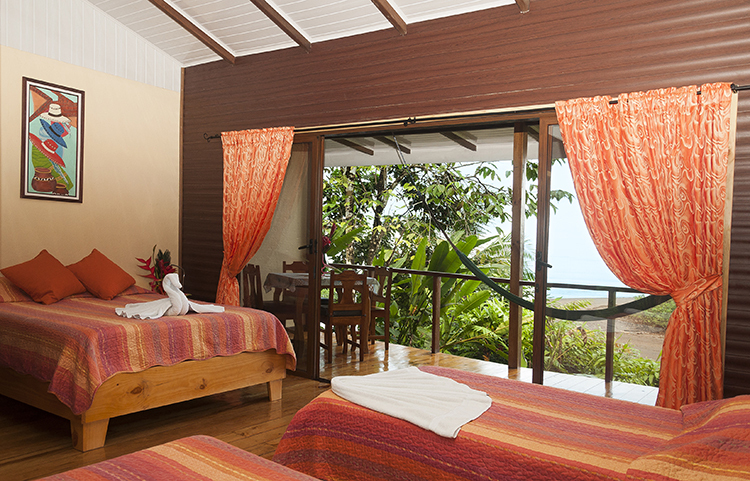 We have 3 cabins, each cabin has one double bed and three single beds. If you are seeking larger accommodations for your honeymoon or your family, our cabins might be just what you are looking for. These are more luxurious than our lovely bungalows and more secluded. You reach them by strolling down an elevated wooden walkway through our rainforest gardens. When you arrive at your cabin door you will not be disappointed. The three cabins are all located in one larger building, but you will enjoy the sound of waves and should not be bothered in the slightest by noise from your neighbors. 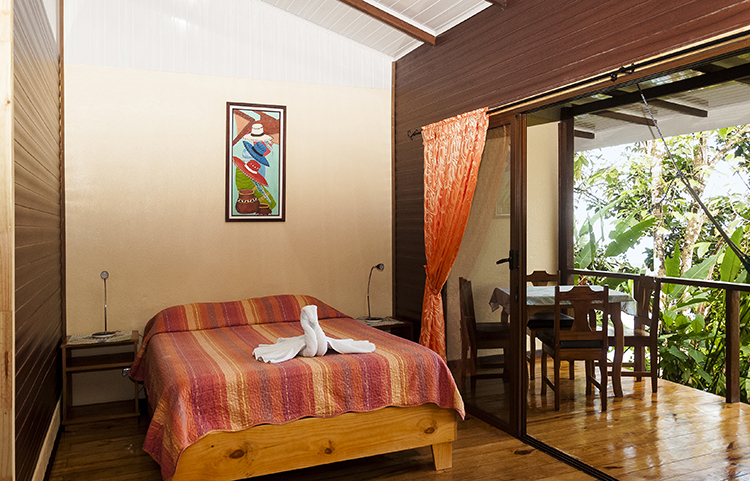 Unlike our bungalows, these large rooms have both ceiling fans and air conditioning. 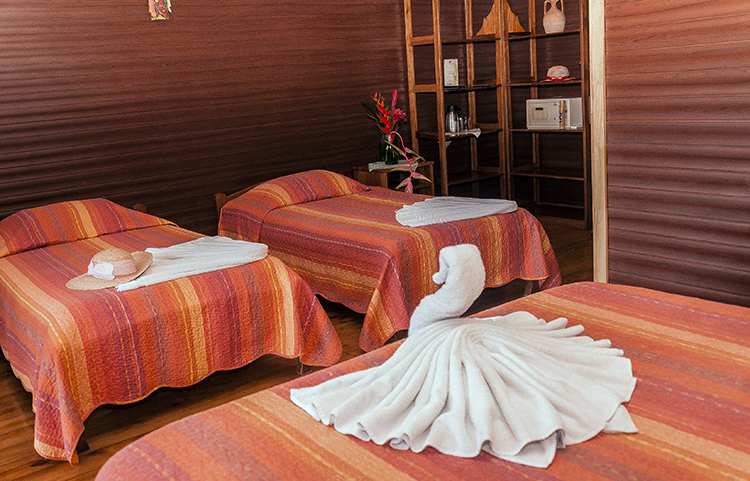 They offer a queen sized bed and two or three single beds, depending on layout. The bathrooms are also much larger and beautiful since a complete remodelling in 2016. 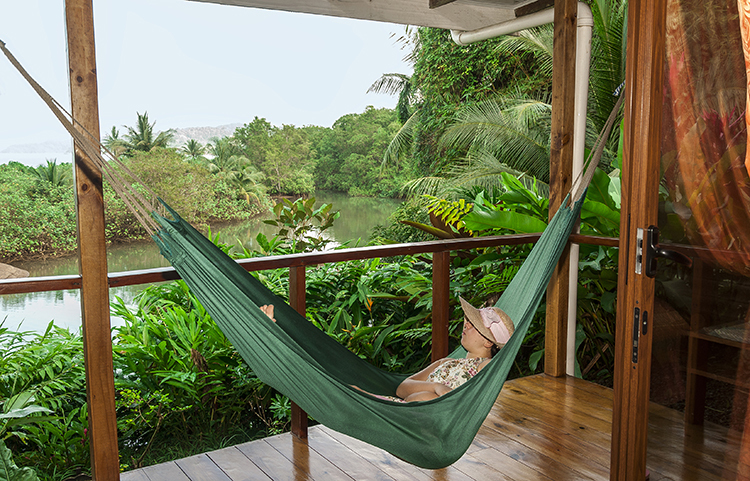 Your private terrace contains a hammock and a table with four chairs. Lovely though these rooms are, the view from your terrace is even lovelier.